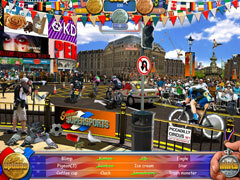 Summer SuperSports is cram packed with hours and hours of gameplay for players of all ages! Join Mike and Sally on an amazing vacation. 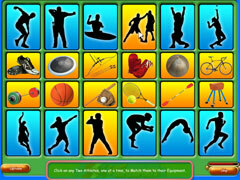 Collect all kinds of things including Gold, Silver and Bronze medals scattered around fabulous Sports Arenas and Stadiums. The game begins with Mom, Dad, Mike and Sally driving to the airport and checking in. They get on the plane and watch the captain talking to air traffic control. When they get to London, Dad buys tickets to see a bunch of Sports events. But these aren't just ordinary tickets, they're multi-entry tickets, which means you can go to all of the fabulous sports events in the game. 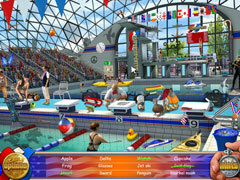 Watch baseball, basketball, the tennis, swimming, and more. Go to the Athlete's Village, ride the subway to the Mall to buy some souvenirs. 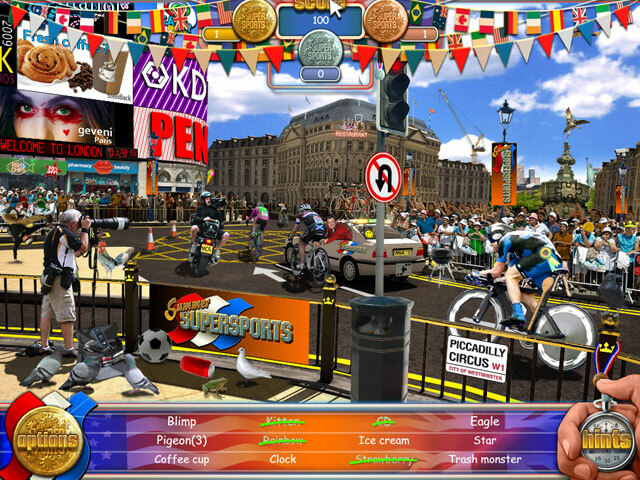 Summer SuperSports is cram packed with hours and hours of gameplay for players of all ages!